Obviously Afghanistan has been the primary focal point in the War on Terror since September 11, 2001 when the United States was attacked and about 3,000 people were murdered. The US government identified Osama bin Laden and the Al-Qaeda organization based in and allied with the Taliban, the Islamic government in Afghanistan, as the perpetrators of the attacks. While political and military mistakes have been made in this 10 year conflict, we have been successful and destroying the violent Al-Qaeda and Taliban leadership and allowing a government friendly to its neighbors to hopefully evolve. 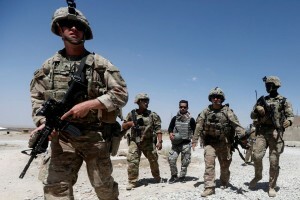 This evolution will take time and be difficult, so our commitment should not waver, but our need for regular military forces in Afghanistan has ended. Continuing to watch and appropriately react to developments in Afghanistan will be an important political issue. Drawdown could begin in several weeks, officials say. Victory! What a refreshing concept. A Real Life "Forrest Gump"